In yet another annoyance for the Trump Administration as it seeks to implement its immigration reforms to end what's become an undeniable crisis at the southern border, a federal judge in San Francisco (surprise, surprise) has issued an injunction blocking a Trump administration policy that would have returned non-Mexican asylum seekers to Mexico while their cases were pending. The ruling Monday is the latest setback for Trump in his crusade to curb immigration. His policies have been repeatedly stymied by judges since he took office in January 2017 and specifically, San Francisco judges have been a persistent thorn in the administration's side when it comes to immigration policy, contributing to the White House's six percent win rate on legal challenges surrounding its policies. 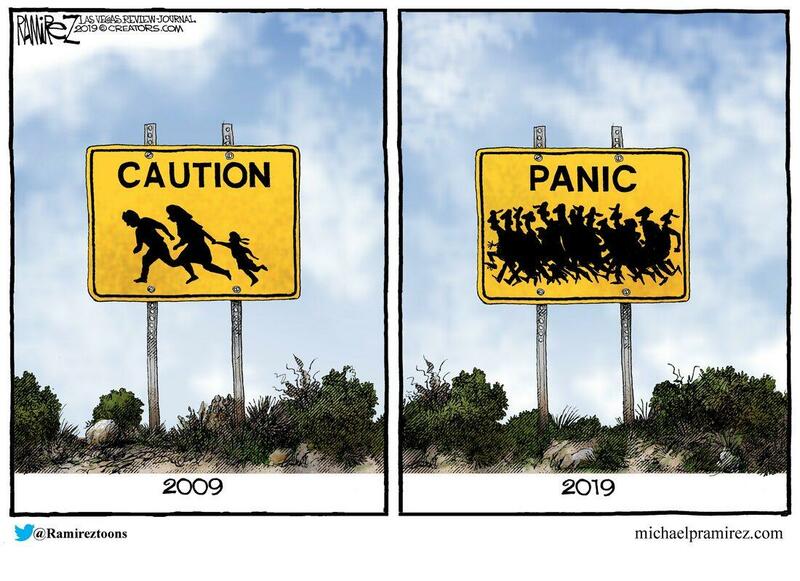 The Department of Homeland Security announced April 1 - while the president was threatening to shut the southern border - that it was broadening its push to send migrants back to Mexico as border patrol agents faced a surge in illegal crossings. Trump said days later while visiting the border that the U.S. is “full” of people and can’t accommodate any more migrants from Latin America.